So you think you know a foul word or two? Shakespeare’s insults, put downs and cussing were second to none, and with his insults Shakespeare was most certainly a master of his trade! Read our selection of the top 50 Shakespeare insults below, ordered alphabetically by quote, with play and act/scene listed too. From ” a most notable coward” to “Villian, I have done thy mother” Shakespeare had an insult for any occassion. 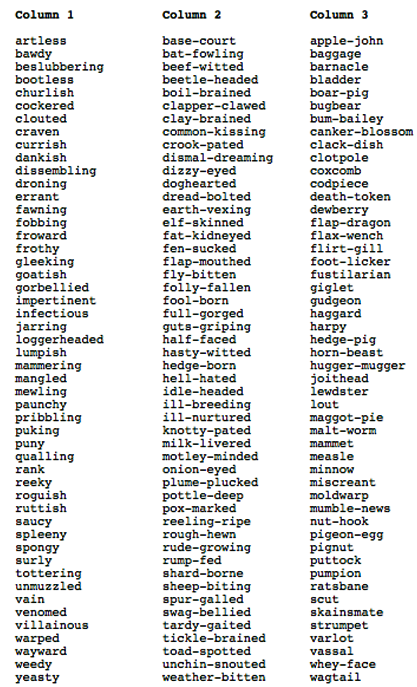 Read enough Shakesperean insults? Check out our lists of words and phrases that Shakespeare invented & some interesting facts about Shakespeare. Thou art but an artless, beef-witted, clotpole and thy wife is an unmuzzled, pox-marked, strumpet. Thou art naught but an artless beef-witted clotpole and thy wife is an unmuzzled pox-marked strumpet. These are priceless. I wish they would just roll off the tongue at the appropriate time, though. Villain, I have done thy mother! Even Shakespeare was making I did your mom jokes. 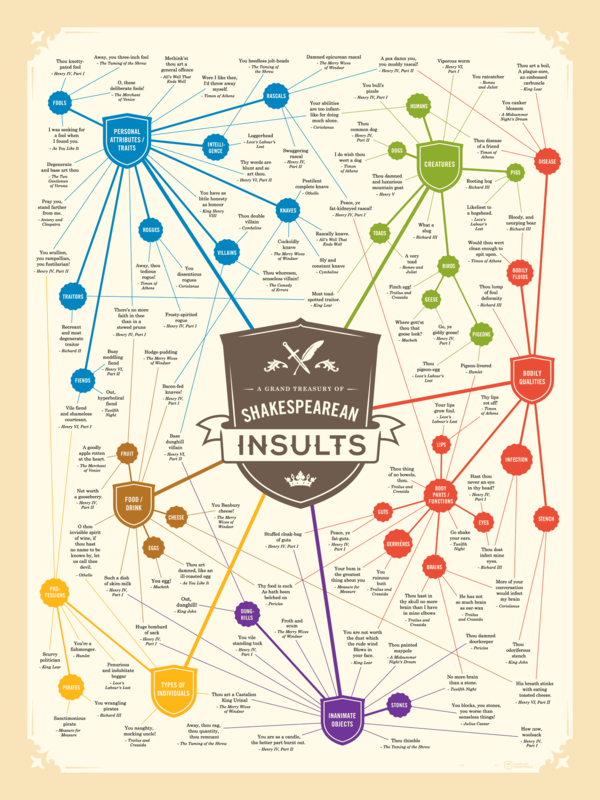 What a great selection of Shakespearean insults! Although I would appreciate the line number. While supplying the Act and Scene number help, it still leaves a lot of searching.